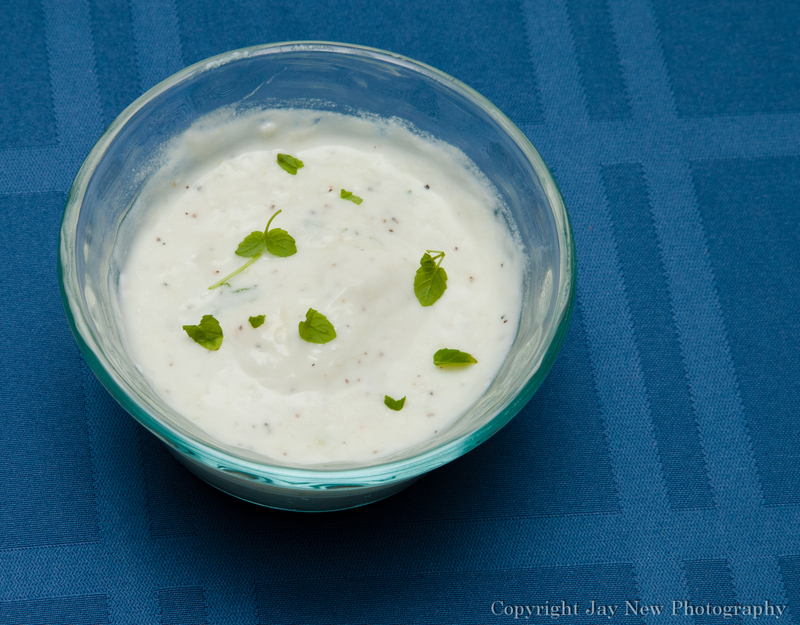 Raita, a simple yogurt sauce that is often served along with Indian food. It is the Indian equivalent for coleslaw. Aside from the great taste, it often used to cool things down. Needless to say, it is HOT in India and most of the foods are also hot (Spice and Temperature). Cold Raita helps with the spices and the heat. It also enhances the flavors of many Indian dishes by adding a little tang. You would normally use cucumbers in this sauce, but I decided to use Zucchini. I served this with Indian Butter Chicken and Homemade Naan. Combine ingredients and mix well. Serve Cold. You can also decorate the top of the Raita with garam masala or red pepper powder. I used extra mint leaves.